Colouring is a fun activity for all ages, and it’s currently sweeping the world with the adult colouring book craze. Let’s get back to basics though – it’s still a great activity for kids to get involved in. Not only is it beneficial for developing their fine motor skills, but it also sparks their imaginations and gives them a fun and easy way to express themselves. If your children aren’t already colouring, you should definitely encourage them to do it every day. Read on to find out more about colouring and why it’s a great activity for your kids! When colouring, your child has to learn how to hold a crayon or pencil correctly. They learn how to colour between the lines and how to navigate tricky circular shapes and tiny angles. All of this colouring results in the development of the muscles in their little hands, which means improved fine motor skills. These skills are crucial and will help them in every aspect of their life. Significantly, the more they colour, they more they’ll grow confident in using writing implements. You’ll see an improvement in their handwriting abilities which is a great side effect. Patience doesn’t always come naturally to kids, but colouring on a daily basis can help teach them to slow down and focus on the activity. The emphasis here is on producing something gradually and in providing the reward of something they’re genuinely proud of when they’re finished. If the adult colouring craze has taught us anything, it’s that colouring is a great way to unwind and relax. You can put in as much or as little effort as you like. Slowing filling in the shapes with whorls of colour is infinitely relaxing and gives kids a way to unwind from their busy school day without sitting in front of a screen. It’s also quiet so their brains get a break from all the information they’ve been absorbing throughout the day. 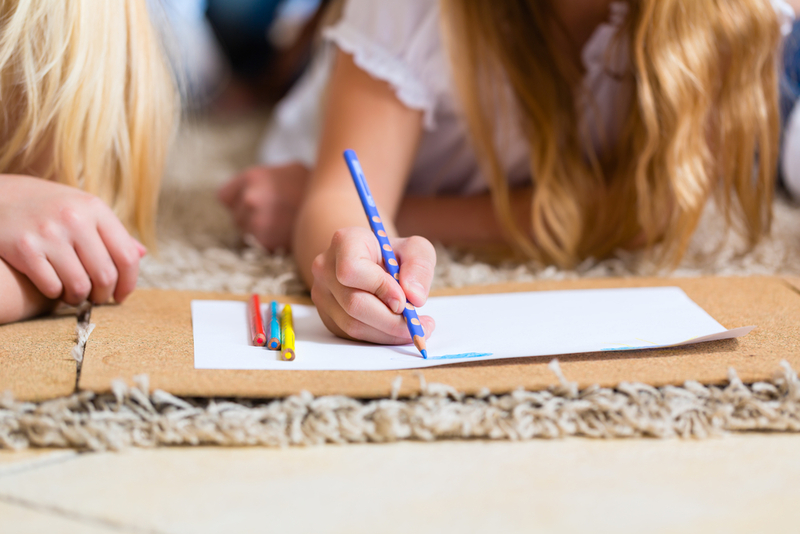 Colouring on a daily basis will increase your child’s knowledge of lines, form, shapes and even colours. You can start them with simple shapes and work up to more intricate, highly detailed colouring sheets, like this one of beloved gum-nut characters, Chucklebud and Wunkydoo. Recognising patterns and being able to replicate these patterns is an important step in early mathematics, so you’ll definitely want to encourage more of that! The more your child colours, the more his or her confidence will grow. With a bit of encouragement, their masterpieces will only improve, as will their self-esteem. Who knows what kind of project they’ll turn to next? Colouring allows your child to express themselves creatively – through the use of different mediums like pencils, felt pens, crayons or even the use of stamps, coloured paper, stickers and the like. Through use of various colours, methods and techniques, your child can take a plain black and white picture and produce something totally unique to them. For a great range of May Gibbs-related colouring sheets, check out our website. The kids will love completing one each day! Right now, Librarian Bec’s hard at work at your local library, sharing a passion for reading with little people and big. Bec writes about inspiring little readers and embracing lovely literature. 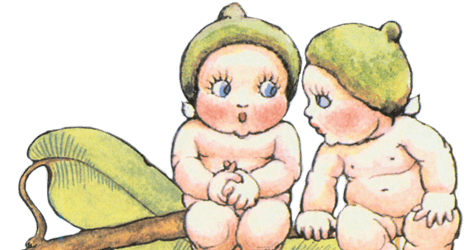 « Australian Children’s Literature – Is It Still Relevant Today?